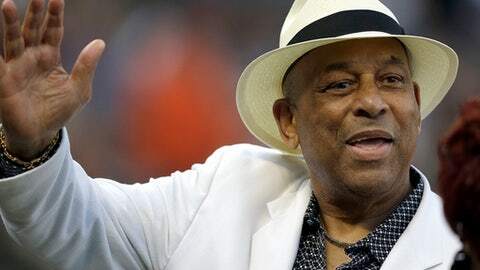 SAN FRANCISCO (AP) Hall of Famer Orlando Cepeda has been hospitalized in the Bay Area. The San Francisco Giants said Tuesday the 80-year-old Cepeda had been taken to a hospital late Monday. The team had no further details. Cepeda has been a regular at Giants home games and attended an 80th birthday event for Hall of Famer Willie McCovey last month. Cepeda was a first baseman during his 17 big league seasons, beginning with the Giants. He also played for St. Louis, Atlanta, Oakland, Boston and Kansas City. A seven-time All-Star who played in three World Series, Cepeda was the 1958 NL Rookie of the Year with San Francisco and NL MVP in 1967 with St. Louis. In 1961, he led the NL with 46 homers and 142 RBIs. Cepeda was a .297 career hitter with 379 home runs.